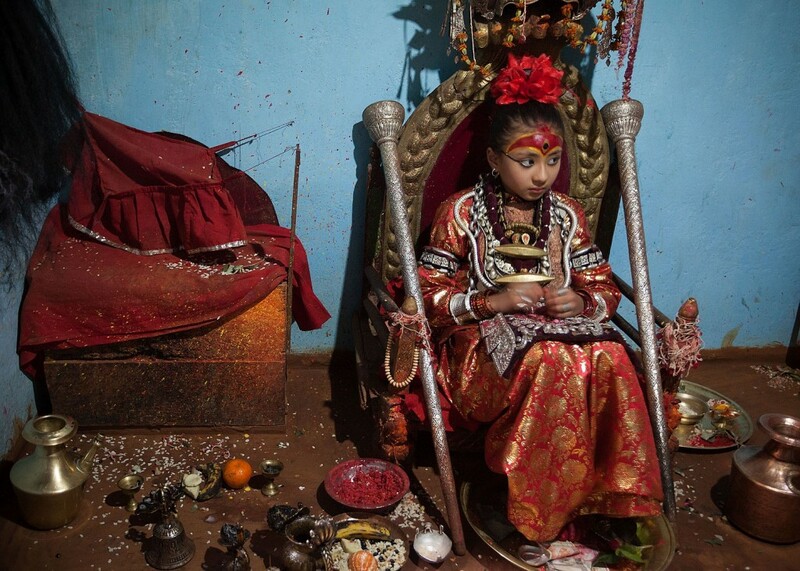 Kumari are young girls in Nepal worshipped as deities by both Hindu’s and Buddhists. Sometimes chosen as young as two years old, the children, who are always from a Buddhist family, are said to be the reincarnation of the Hindu goddess Durga. There are 11 Kumari in the Kathmandu Valley with the most important being the Royal Kathmandu Kumari, followed by Patan Kumari. These Kumari leave their homes only during religious festivals and live much more restricted lives than the other Kumari who are able to lead relatively normal lives, attending public school and playing outdoors with friends. It is said Durga leaves the Kumari’s body when they reach puberty and the young girls are returned to normal life. 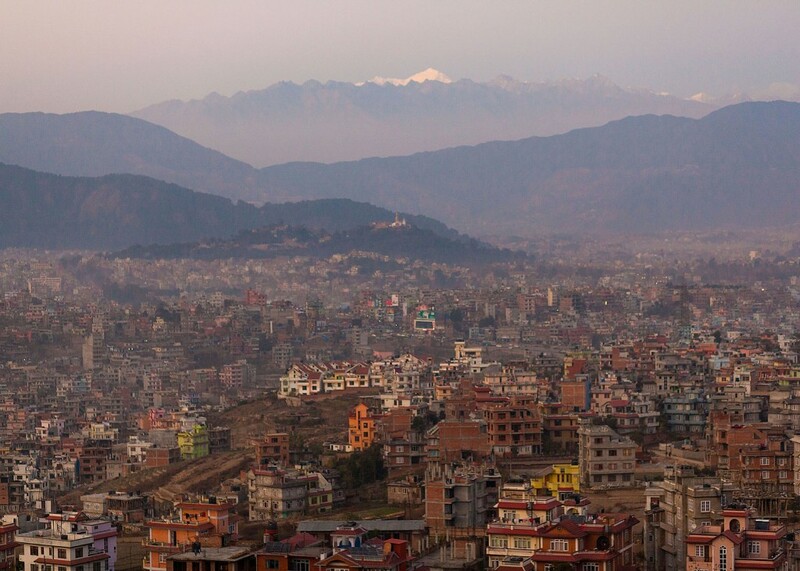 Kathmandu Valley is home to eleven Kumari. The young girls are said to be the reincarnation of the Hindu Goddess Durga into a Buddhist family and are worshipped by both faiths in Nepal. 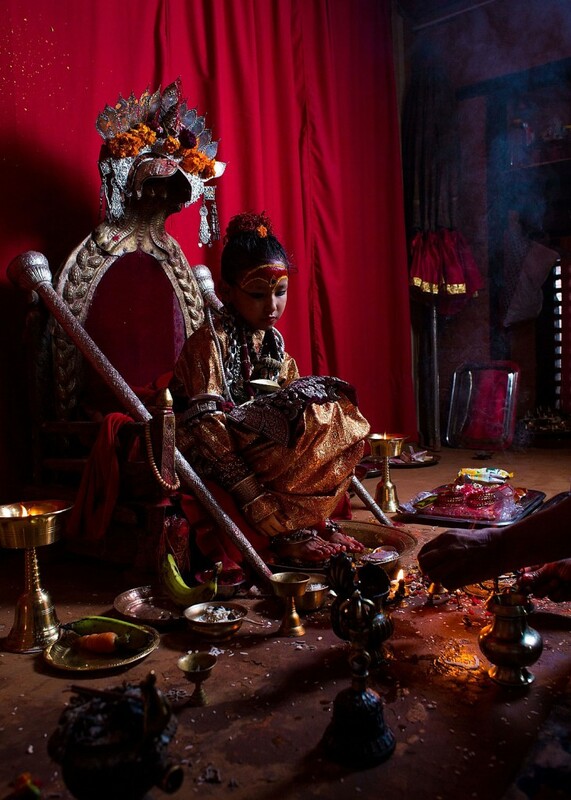 Kumari Samita Bajracharya of Patan sits in her throne room in 2011. Samita was chosen to be a Kumari in 2010 when she was nine years old but Kumari can be chosen as young as two or three. Samita credits Dhan Kumari – the ‘Lifelong Kumari’ with helping to guide her in her life as a Kumari. 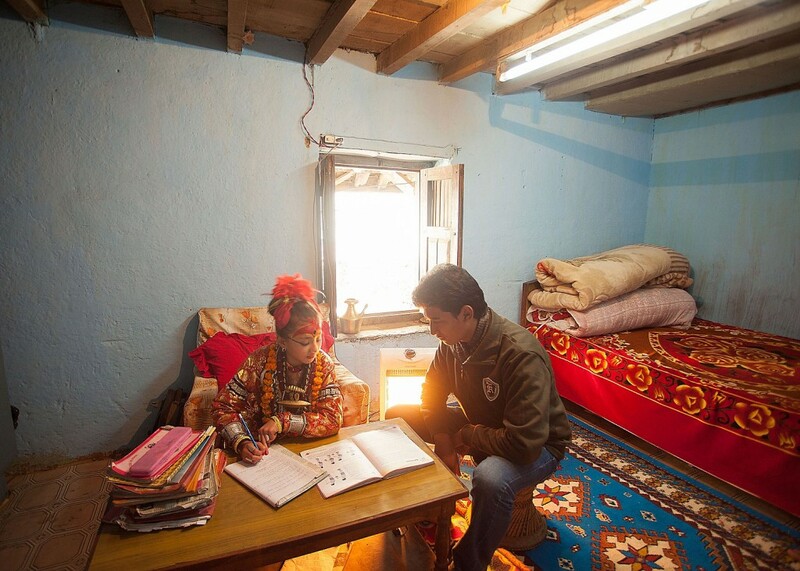 Kumari Samita Bajracharya is home schooled by a tutor. Here, her bedroom doubles as the classroom. Normally she would be dressed in her regular clothing but on this day she did not have time to change. A ceremony in 2011 when Samita was still the Patan Kumari. Dangol Kumari (front row second from left) leads a more typical life than the Patan Kumari or Royal Kathmandu Kumari. Dangol is seen attending school here in 2008. Her outfit is slightly different than the other students as she always wears red. 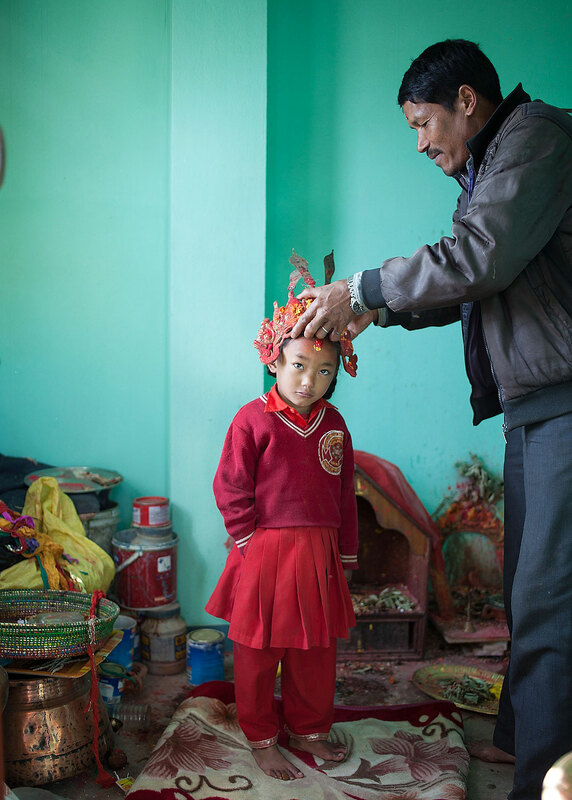 Dangol Kumari’s father tries her ceremonial crown on her head in 2011. Dhan Kumari is sometimes referred to as the ‘Lifelong Kumari’. It is said she has never menstruated and so has never stopped being Kumari. In the 1980s when she was in her 30s she was removed from her Kumari position by the priests – possibly at the request of the prince. From the time she was chosen as Kumari at two years old until the recent earthquake, Dhan Kumari never walked the streets of Kathmandu. She is now 64. 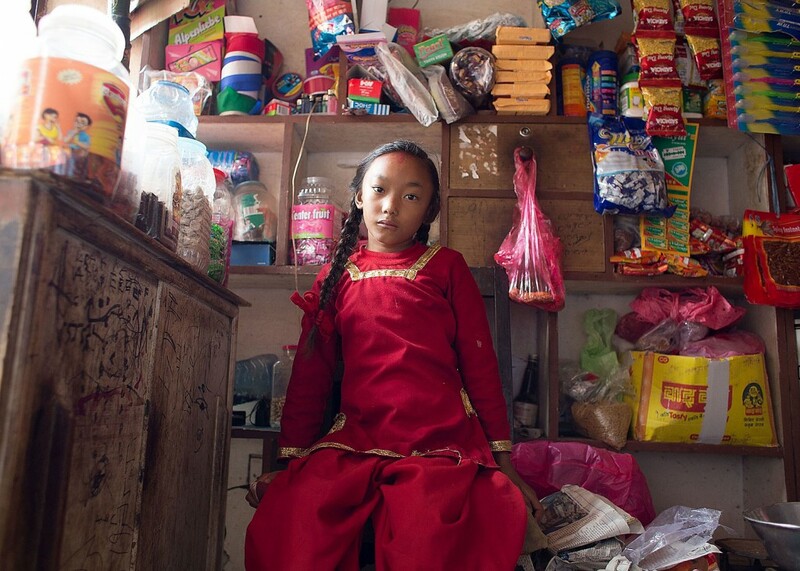 Dangol Kumari sits at the shop run by her family downstairs from their apartment. 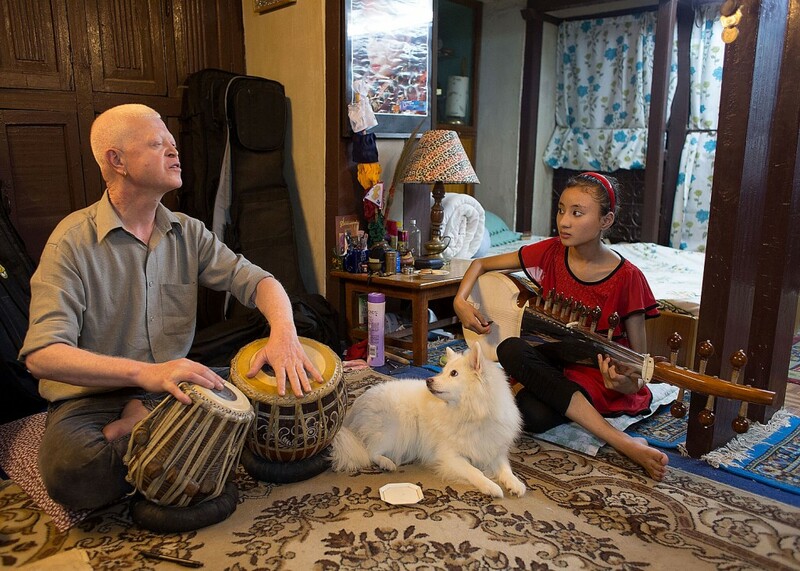 Samita takes Sarod lessons at the home of Suresh Bajracharya. 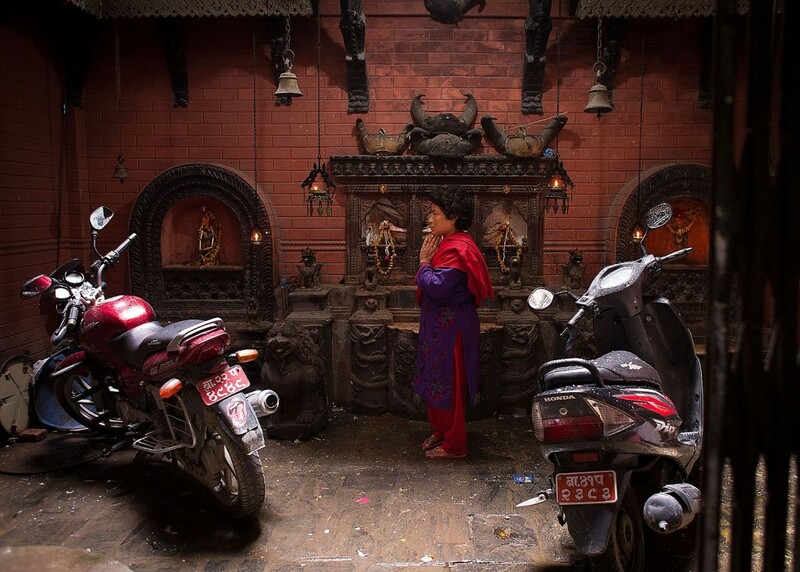 Samita Bajracharya stands outside of her former throne room. Samitas family did not have to vacate their home for the new Patan Kumari who lives with her family next door. 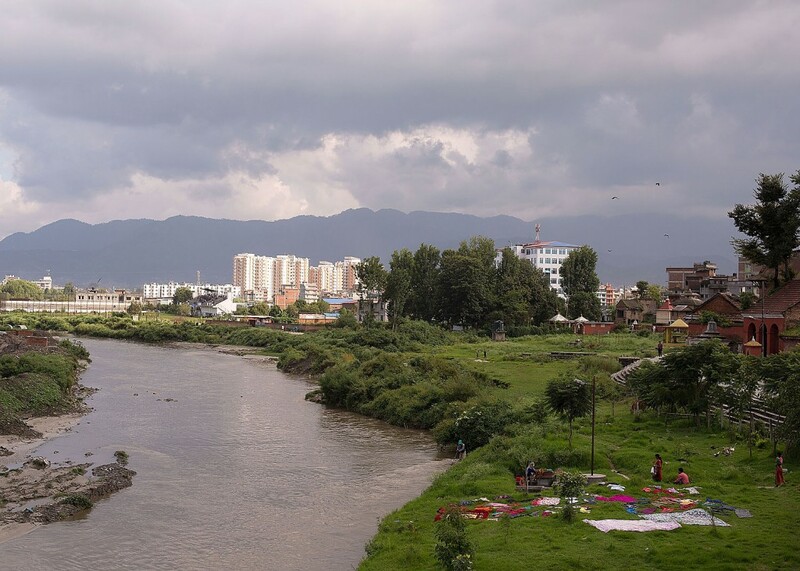 The riverbank where Samita Bajracharya was taken at the end of her Kumari service as part of a bathing ritual. Former Kumari Samita Bajracharya waits with her mother Purna Shova at Durbar Square. 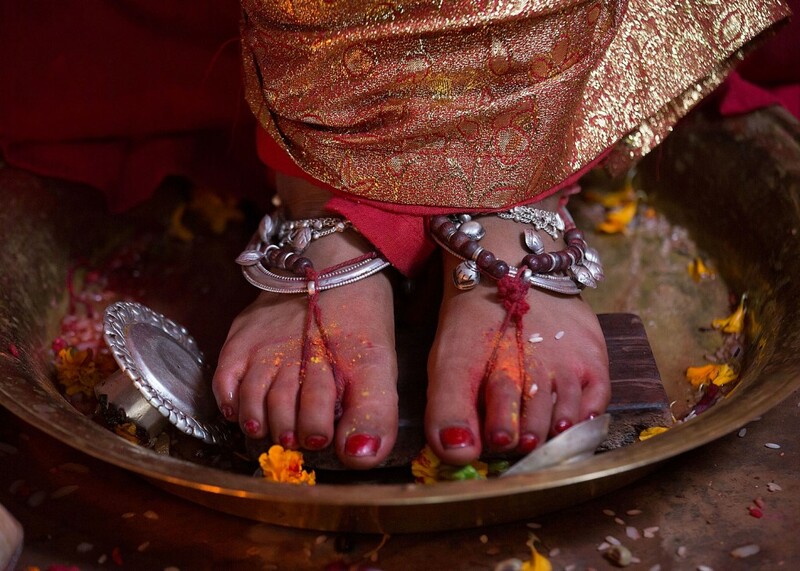 The feet of a Kumari are protected from touching the ground while performing official duties. Here, the feet of the new Patan Kumari Unika rest in her offering tray. Unika Bajracharya replaced Samita Bajracharya as Kumari of Patan. 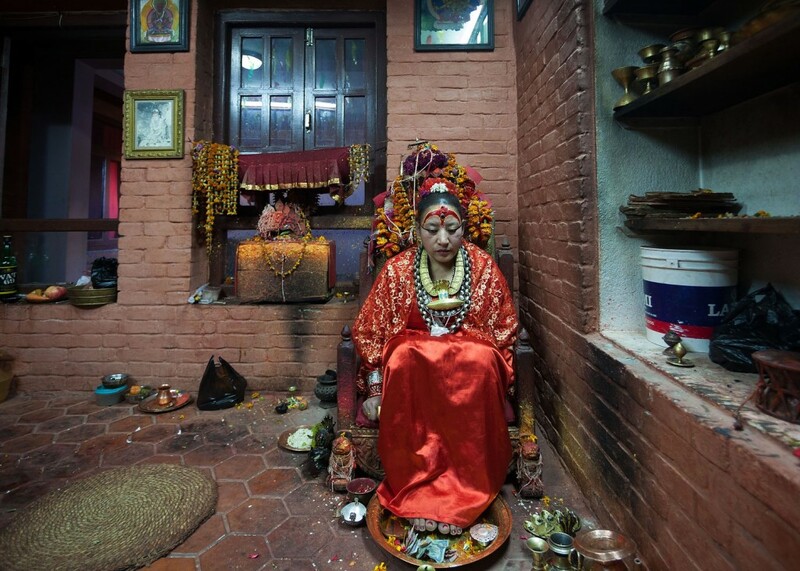 The Patan Kumari is considered the most important Kumari after the Kathmandu Royal Kumari. 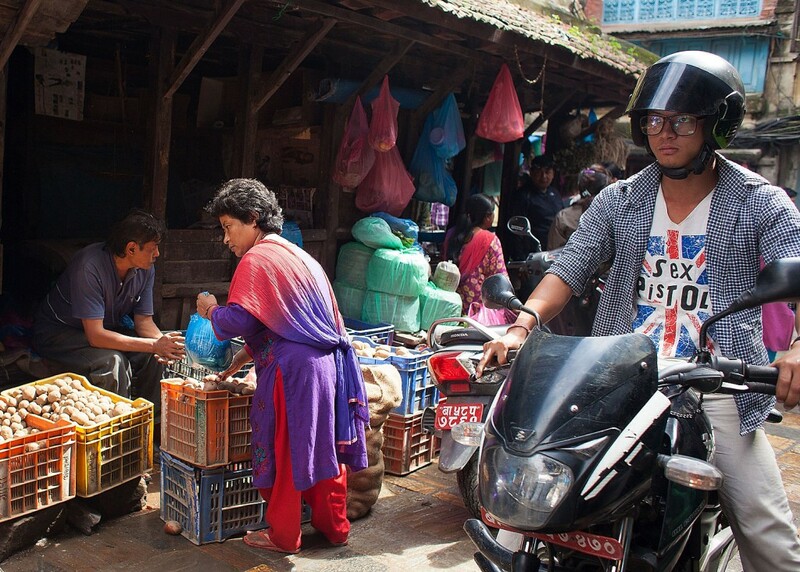 A former Kumari picking up some vegetables for her family. 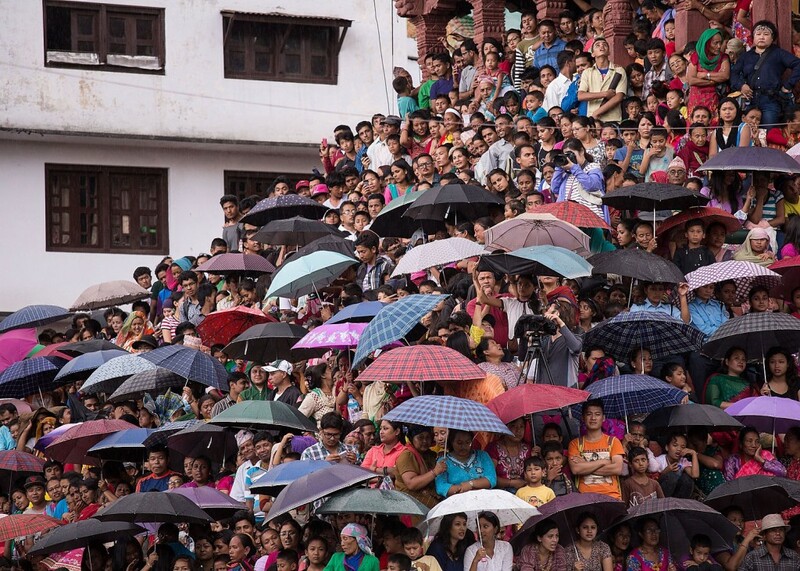 Crowds wait for hours to catch a glimpse of the Royal Kathmandu Kumari during the Indrajatra Festival in Kathmandu. The Kumari makes one of her rare public appearances at the festival. Kathmandu Royal Kumari Matina prepares to leave her palace for the Indrajatra festival. Kathmandu Royal Kumari Matina is pulled in a chariot by throngs of supporters during the Indrajatra festival. 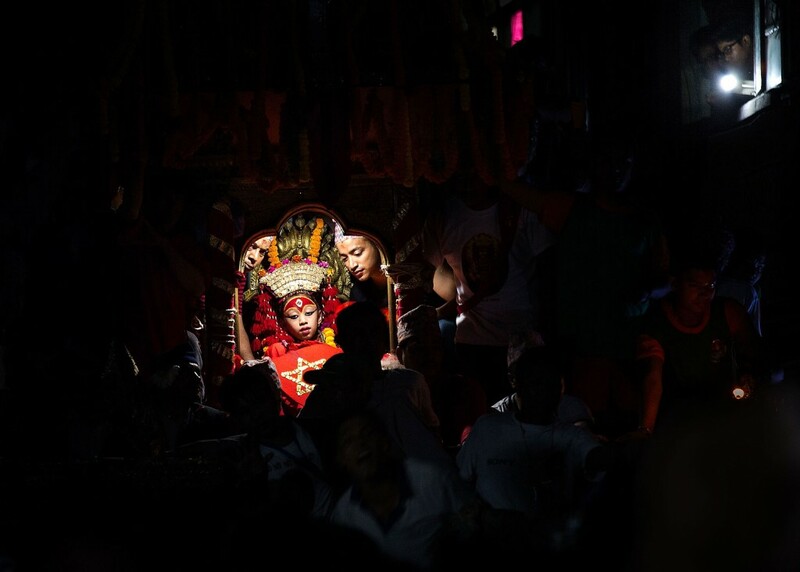 The chariots are proceeded and followed by crowds of revellers through the narrow streets of Kathmandu and at times people are injured or even killed by crowd losing control of the chariot. 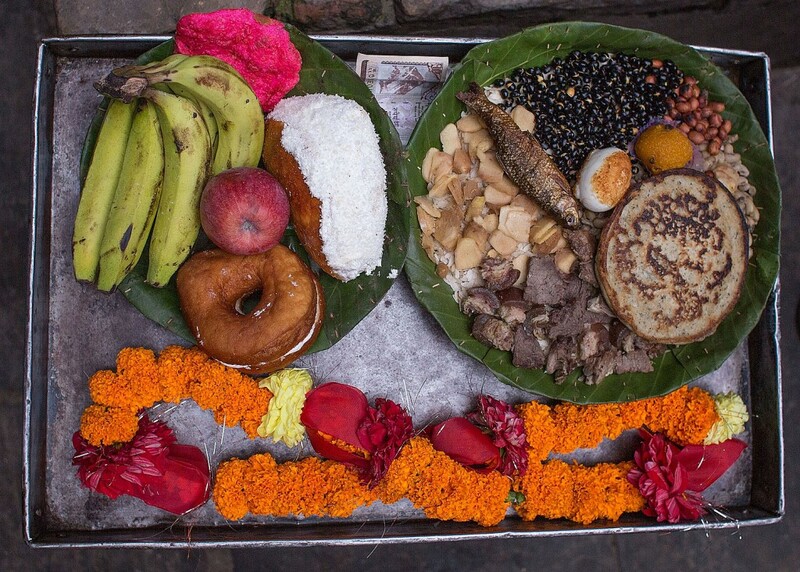 Food such as eggs, fruit or rice among other things is offered to the Kumari. 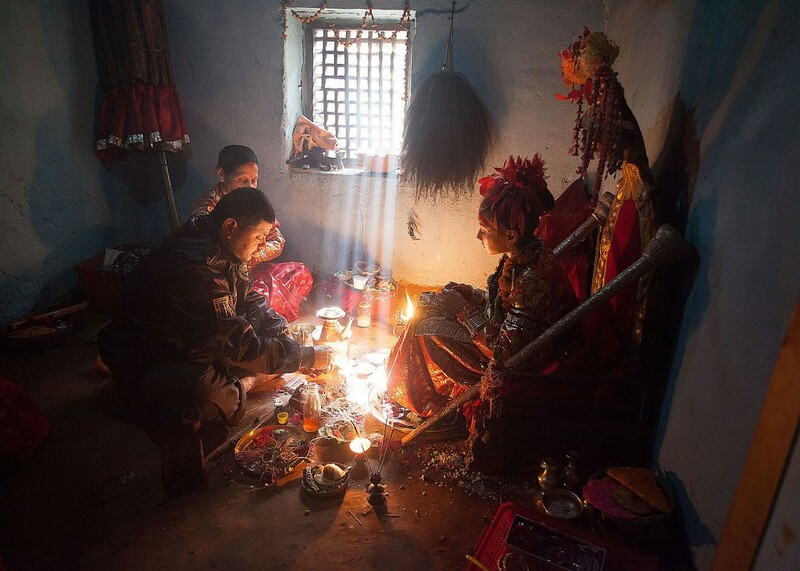 A former Kumari prays at an alter near her home. The Kumari now runs a stall where she says household supplies. 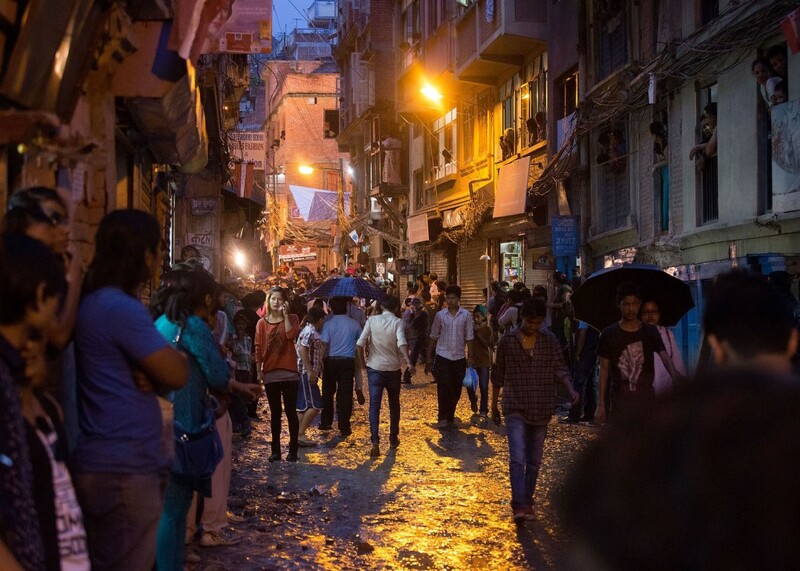 The streets of Kathmandu as the Kumari festival winds down.